rooted in what remains of another world. I want to be there, riding where I can see those mountains. 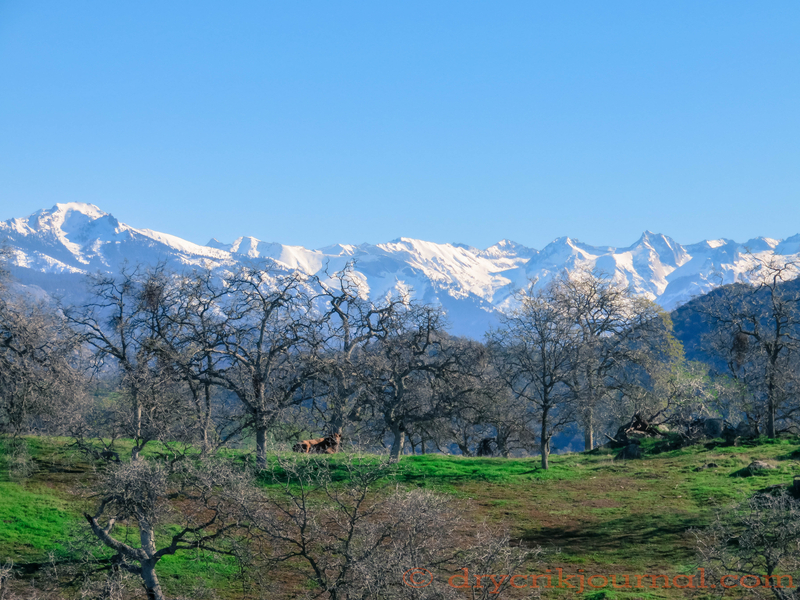 The photo was taken last February after nearly 3″ of rain in the foothills, the grass with a slow start. Though the jagged edge of the Great Western Divide remains the same as long as you’re looking from the same place, it seldom looks as beautiful as this. If you’re riding, its beauty ever-changing. The cow on the near ridge is legendary.